ChargeIt by Jay Arizona Silver/Clear Glass Charger Plate 13"
Home > Products > ChargeIt by Jay Arizona Silver/Clear Glass Charger Plate 13"
A stunning addition to high-end restaurants and fine dining establishments, the ChargeIt by Jay Arizona Silver Round Charger Plate 13" adds visual flair to any table setting. 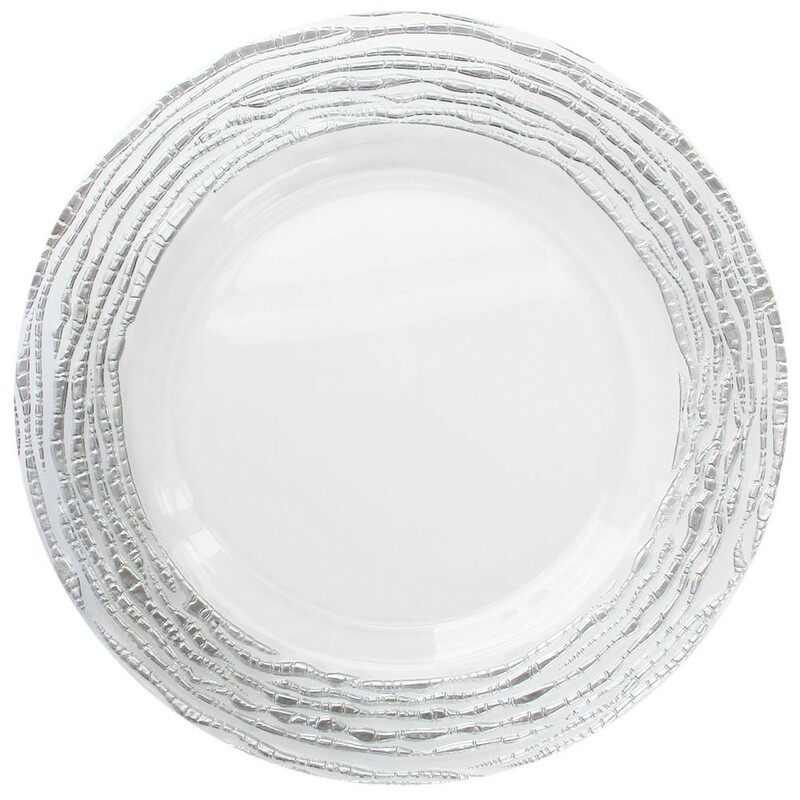 This charger plate boasts an attractive clear and silver swirl finish around its edges adding a lavish touch to wedding receptions, extravagant parties, and other celebratory occasions. Made from premium quality solid glass, this charger plate has an upscale look while being exceptionally durable and long-lasting. Thanks to its ample 13" surface, this charger plate is perfect for holding different size dinner plates, platters, and bowls, perfect for multi-course meals. Hand washing is highly recommended to properly clean and maintain this delicate-looking charger plate.